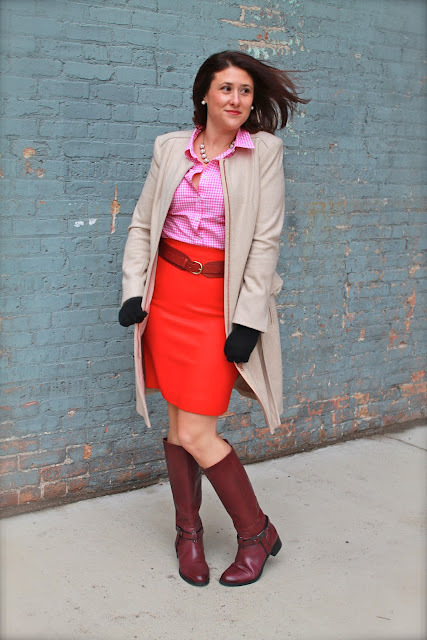 By now I think all of my readers have noticed that the winter months and cold temps don't stop me from wearing my brightest of brights and even showing a little bare leg. Hope this outfit brings a little brightness to your Monday! I have that same shirt! Love how you wore it with the orange skirt, super cute! Thanks! It's a great top! 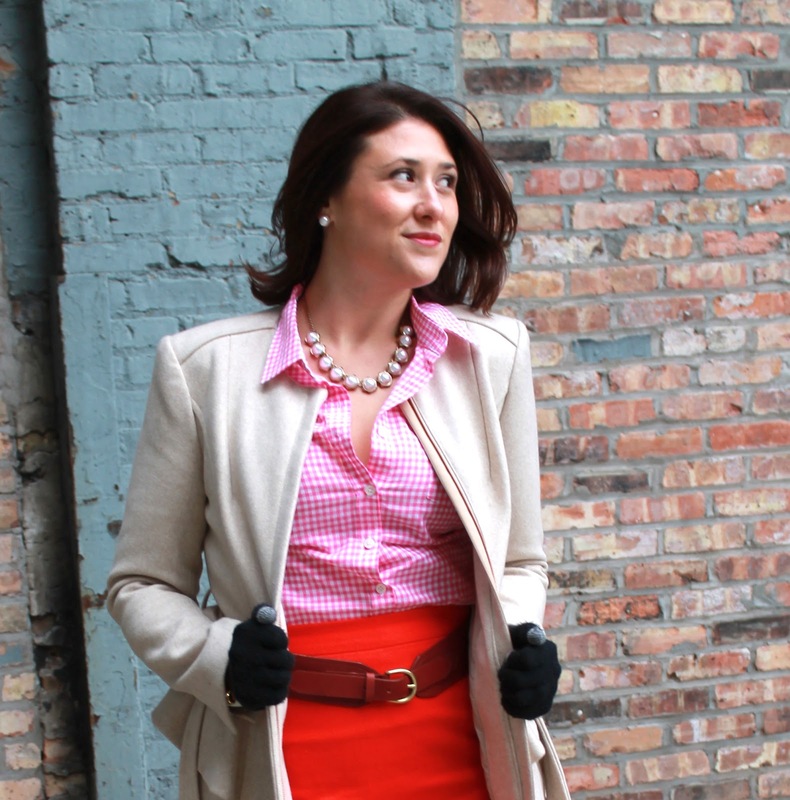 I love wearing brights throughout the winter too! It's practically spring now, right? For sure! Winter barely even happened here in Chicago!